The wind power industry has undergone dramatic changes in recent years due to key technological advancements and increased investment from both the public and private sector. As a result, these factors are driving down costs of wind energy, making this vital resource more economical and attainable by businesses and communities around the world. As global energy demand continues to shift toward alternative energy sources, the wind energy industry will shape how the world utilizes its power supplies. While wind has been harnessed since the first century AD, it was not until the late 1800s construction resembled the wind turbines of today. Perhaps the largest innovation that has helped fuel the greater mechanization and harnessing of wind energy in recent memory has been that of turbine construction and the use of structural adhesives during the assembly process. With the manufacturing and fastening capabilities of the industry changing, the use of modular and composite blades are becoming more common. As such, these new construction techniques are likewise driving adhesives demand. Market research firm Lucintel indicated the adhesives market for the U.S. wind energy industry will reach $220 million by 2019, growing nearly 9 percent every year. Furthermore, turbines can be placed in any setting, whether it be offshore, in deserts or mountains. This versatility allows turbines to take up less commercial space while their power stations are generally smaller than those of other energy sources. "Adhesives are manufactured to retain their strength in the face of high winds and extreme weather conditions." The advent of wind turbine construction largely began in the 1980s and expanded slowly throughout the following decades. Modern wind turbine production on a larger scale - backed by greater investments - made use of galvanized steel as the predominant material of choice for engineers. However, due to its weight, steel panels were simply too heavy for certain installations. Manufacturers then turned to aluminum and composite materials, which avoided corrosion issues, increased efficiency and eased transportation requirements. Because turbines are strategically placed to capture the power created from windy regions, environmental factors can have a damaging impact on the materials themselves, particularly when exposed to high levels of sand, dust and acidic pollutants in the air. Under these environmental conditions and constant cycling vibration, screws and rivets loosen and become stripped after repeated attempts to further strengthen the hold. And when dealing with structures hundreds of feet tall, the potential for these problems to exacerbate over time is enormous, depriving companies the ability to fully harness wind and reap its rewards. But with the widespread use of structural adhesives, manufacturers circumvented these problems and were able to fasten disparate turbine components securely, and at a much more cost-effective rate. The rise of structural adhesives provided wind companies the perfect resource for expanding their operations and solidifying their investments because adhesives streamlined production and operational efficiency across the board using automated mix and dispense equipment. Epoxies, polyurethanes and acrylics like methyl methacrylate revamped the assembly requirements for turbines, particularly when it comes to blades. In most cases, these adhesives cure at room temperature, which means there is no additional need for ovens or temperature alterations. In a matter of hours, adhesives cure to form a strong, complete bond that is able to fill small gaps surrounding joints and overlays - areas that mechanical fastening methods were unable to fully access. By doing away with screws in favor of adhesives, overall weight is reduced, and when combined with the most recent advancements in blade construction - carbon reinforced composites - the power generation capacity of turbines today is strides ahead of where it was even a few years ago. Today's wind turbines are made from carbon reinforced composites. One of the most important factors behind the success of wind power adhesives is that they spread pressure points evenly across the entire bond as opposed to previous methods of fastening, which created single stress points that increased the inherent risk of degradation and malfunction. Additionally, these bonds work well in complex joints along the blades, forming stronger seals, effectively making blades more aerodynamic and enhancing the performance of each individual blade. Adhesives have also expanded the realms of strength capabilities and are able to withstand more than 4,000 pounds per square inch of pressure. Meanwhile adhesives are manufactured to retain their strength in the face of high winds, extreme weather conditions and temperatures between minus 40 and 127 degrees Celsius. In terms of application, adhesives are dispensed uniformly across the surface of turbines and the shells of the blades themselves. As a result, once all parts are on hand, assembly occurs fairly quickly and installations of turbines of any size are completed faster than before, putting a larger number of turbines in operation. Many blades currently being manufactured are done so in a two-step process whereby epoxy adhesives are applied to half-shells before they are joined together. With segmented wind blade designs and carbon fiber materials, blades can be made longer while simultaneously weighing less and generating more power, CompositesWorld reported. To make these designs possible, adhesives serve as the load-bearing instrument, which places a high priority on the structural stability of the adhesives used. Plus, epoxy resins can be bonded across dissimilar substrates such as carbon and aluminum. With the latest turbine advancements, two-part polyurethane adhesives are also being used to bond rotor blades to additional turbine components. Likewise, with fewer curing and fastening steps, production costs for future turbines will decline further, making wind energy all the more resourceful and efficient. The U.S. Department of Energy noted wind energy currently makes up 4.5 percent of the nation's total electricity generation. However, with the proper investments in scaling up wind capability, the DOE projected that number could surpass 20 percent by 2030 and 35 percent by 2050, pointing to just how involved the government intends to be in pushing for greater wind energy use. 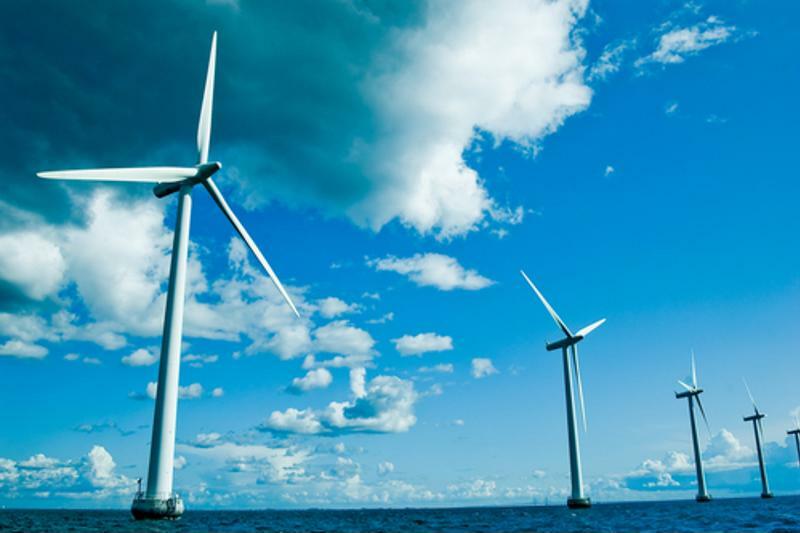 For engineers, technicians and manufacturers in the wind power industry, finding and working with an optimal adhesives supplier will be critical to meeting future energy demands. Search Gluespec's online database to connect with industry-leading suppliers.